Is Medication the Best Treatment Option for Pain? While many people believe that medication is the best treatment option for pain, the fact is that there are almost always alternatives that can and should be explored. Prescription and over-the-counter medications can be very effective in treating all different types of pain, but they are certainly not the only option available to you. You will find that there are many benefits associated with some of the more natural treatments for pain, such as fewer or no harmful side-effects. Pretty much all medications come with a list of potential side-effects, and certain ones can really put your health and well-being at risk. 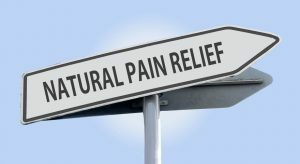 Sometimes these natural treatments are an even better treatment for pain because they work just as well but do not come with any of the side-effects. When trying to determine whether or not medication is the best treatment for pain, it’s important to consider the condition itself and the severity of the pain. Sometimes, medication can be the best option, but this is not always the case. If you are in pain and need to get relief, it is important that you are aware of all your options, including different medications. You don’t want to discount medication entirely, but there are sometimes better, more natural solutions available. These days, more and more people are turning to natural pain remedies because they can be as effective if not more so than traditional medication. Some medications are a fairly low risk with a limited number of potential side-effects. It’s very important that you know about some of the different alternatives to traditional pain medications that exist, so you can make the best possible choice. Acupuncture is just one of the many alternative treatments for pain, and it is very low-risk. It essentially involves inserting needles into pressure points on your body, and it has shown promise in treating many different types of pain. 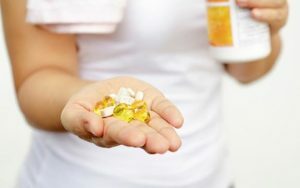 There are certain natural supplements that can be taken to relieve pain, and they too can be very helpful in getting relief without all of the side-effects. Sometimes exercise and physical therapy can be incredibly helpful in treating pain as well. You should speak with your doctor before trying out any alternative pain treatments though. Managing pain by yourself can be quite a challenge, so schedule an appointment with us today so we can help. You will receive top-notch treatment from the best pain doctor in all of NYC.